The St Andrews Links app for iPhone and Android has launched an update with brand new features bringing you closer than ever to the beauty, history and heritage of the Home of Golf. The app’s Home screen has had a makeover with a slow panning background image looking over the award winning Castle Course. The new Home screen also includes quick links to some of the new features included in the latest update. 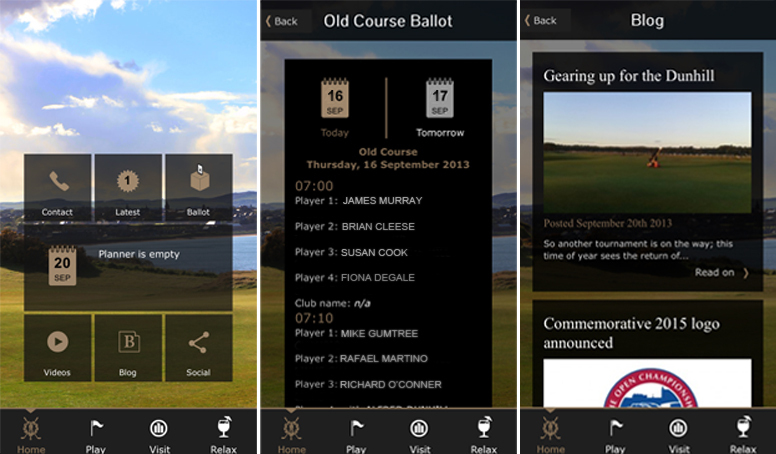 For the first time, you will be able to check the Old Course ballot results from your phone. The Ballot is drawn 48 hours in advance and now you can see if you secured your tee-time by simply checking the app. The latest update also allows you to access exclusive content from the official Home of Golf blog where you can follow all the stories from behind the scenes at the Links. 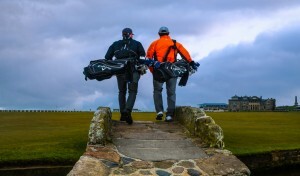 Other new features include 2013 Green Fees, access to exclusive video content featuring Paul McGinley’s hints & tips on playing the Old Course, Trip Advisor reviews, caddie requests and hire clubs. Update your app today to access all of these new features and more. If you haven’t downloaded our app yet, follow the links to download it for FREE for either iPhone or Android.